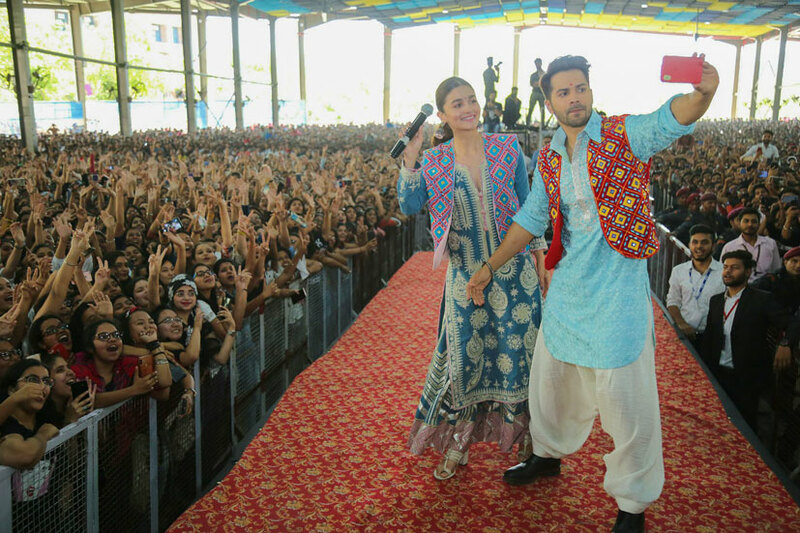 Bollywood’s youth icon-stars Alia Bhatt and Varun Dhawan visited Lovely Professional University (LPU), where both of them performed energetically and excitedly on finding themselves amid a sea of students very eager to see them. Considered youth icon-Bollywood stars countrywide, both of them admitted openly that they had an amazing experience at mammoth LPU stage. 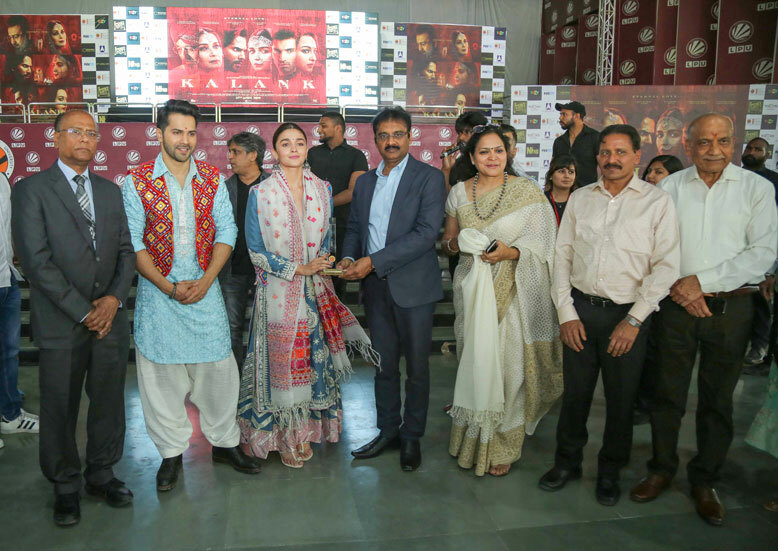 Feeling excited about being among the long rows of students in every direction of theirs, Alia and Varun performed on four full songs of their forthcoming periodic film ‘Kalank’. Both of them shared: “Coming to LPU seems to us as appearing for Final Examination after full preparation. Considering the eve of Punjab’s great festival “Baisakhi”, both of them danced on the “thaps of dhol” as true and to the core Punjabi. Heart throbs of the millions of cine-goers across the country; the star-actors performed for all at LPU and interacted specifically with LPU students of Journalism and Film Production department. 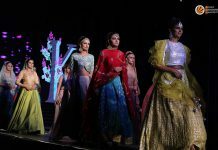 Putting her very first step on the wide ramp and seeing the sea of students before her, Alia Bhatt found it as the most joyous moment of her life and admitted loudly: “I had never seen such a big, amazing and disciplined crowd of students before in my life”. She shared with students her experience of working in a multi-starrer movie with senior actors. She told them that seniors always prove supportive to doings of their juniors. Moreover, each character has its own story which is ultimately intertwined with other characters. She also performed on a classical number “Ghar More Pardeshiya” along with classical-dancing students at LPU. Prior to this Varun and Alia had presented a scintillating performance on the new song “Kalank Nahin, Ishq hae kajal Piya”. Prior to this, on their reaching the campus Lovely Group Chairman Mr Ramesh Mittal, Vice Chairman Mr Naresh Mittal, LPU Chancellor Mr Ashok Mittal, Pro-Chancellor Mrs Rashmi Mittal, Director Mr Aman Mittal welcomed the elite stars at the campus. On this occasion, special arrangements were also chalked out so that thousands of LPU students could have a very close look at their ideal & adoring stars.